Resin kits from the Czech Republic. 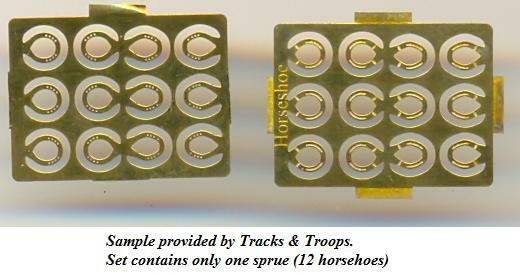 Tracks & Troops also markets accessories, figures and decals. Sd.Kfz. 250/3 Neue Art Command version. Sd.Kfz. 250/8 Neue Art "Stummel" with 75mm gun. Sd.Kfz. 250/9 Neue Art Reconnaissance version. Sd.Kfz. 250/5 Neue Art Artillery Observer version. M-26 Pershing Tank - 1945 Complete kit with photo-etched details. M-26 Pershing Tank - Korean War Complete kit. Sd.Kfz. 250/7 Neue Art Mortar carrier version. T-27 "Xylophone" rocket launcher Resin. Chevrolet G7113 & Semitrailer Detailed resin kit with interior, PE parts, decals and window foil included. Chevrolet G7113 & Semitrailer VAN Detailed resin kit with interior, PE parts, decals and window foil included. Chevrolet G7107/7117 cargo Detailed resin kit with interior, PE parts, decals and window foil included. GMC CCKW 353 pontoon transport Combikit with plastic, resin and PE parts. IS-3 Update Set Resin. Includes turret, tracks & wheels for the Roden kit. Sd.Kfz. 250 Engine Resin. For the T&T Neue Art series. Sd.Kfz. 251 Tracks Resin. For the Hasegawa or ESCI kits. Sd.Kfz. 7 Tracks Resin. For the Hasegawa kits. Fennek wheels Resin. For Revell kit. ATF Dingo I wheels Resin. For Revell kit. M1126 Stryker wheels Resin. For Academy kit. 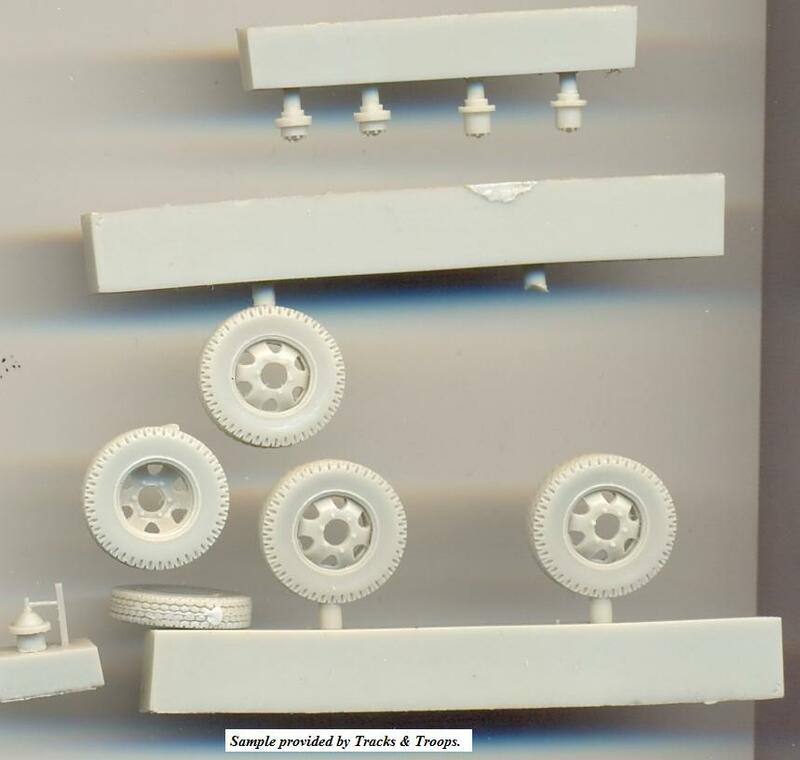 Steyr 1500 wheels - terrain pattern Resin. For AMC/Profiline series of kits (see here or here. ), which have very poor wheels. In all honesty, the detail and casting quality on these tyres and hubs is the best I have seen from any manufacturer in Braille scale (and I swear, it is not because we got these as samples !). Detail is present on the inside and outside and the fine thread pattern is only marred by a small casting block attachment (which would be hidden where it touches the ground). 4 identical wheels are provided and a slightly different one to be used as a spare wheel. Separate hubs are also provided, with a different one for the spare wheel. Steyr 1500 wheels - road pattern Resin. For AMC/Profiline series of kits (see here or here. ), which have very poor wheels. In all honesty, the detail and casting quality on these tyres and hubs is the best I have seen from any manufacturer in Braille scale (and I swear, it is not because we got these as samples !). Detail is present on the inside and outside (including lettering "Continental".) and the fine thread pattern is only marred by a small casting block attachment (which would be hidden where it touches the ground). 9 identical wheels are provided. MAN 6x4 wheels "Dunlop" tyre For Revell. MAN 6x4 wheels "Continental" tyre For Revell. GMC CCKW 352 Resin conversion kit for Airfix/Heller. 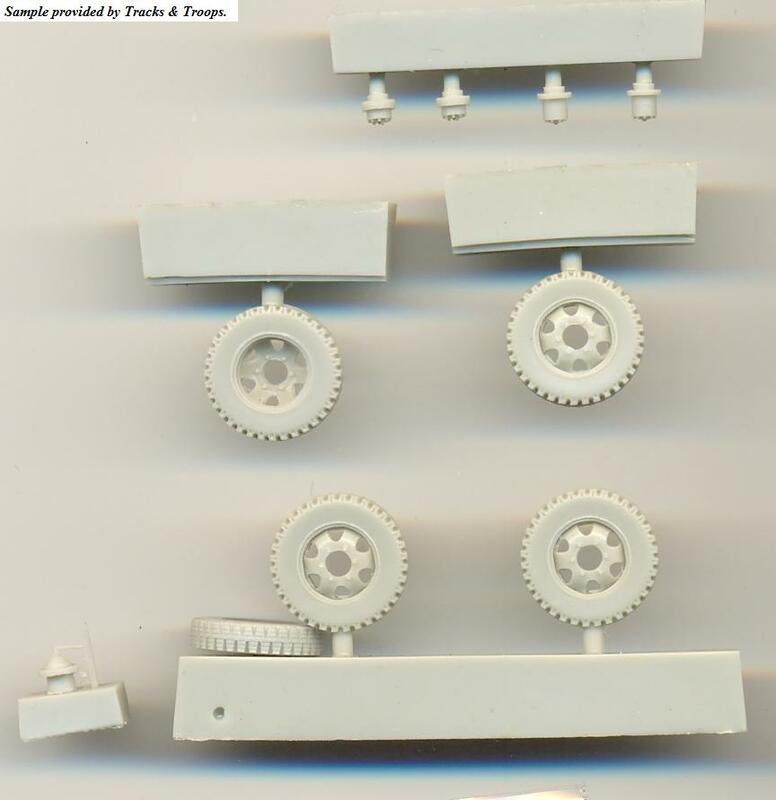 GMC CCKW 353/352 upgrade Resin and PE update set for Airfix/Heller. Set LOT 7 Wrecker Resin set with wire parts. For Airfix/Heller/Academy kits. MG34 on lafette AA mount. US WWII Carton Boxes. 10 pieces. Carton. Big wooden transport boxes 2 pieces. British WWII Carton Boxes. 10 pieces. US pioneer tool frame 3 pieces. U.S. WWII combat ration cartons 10 pieces. 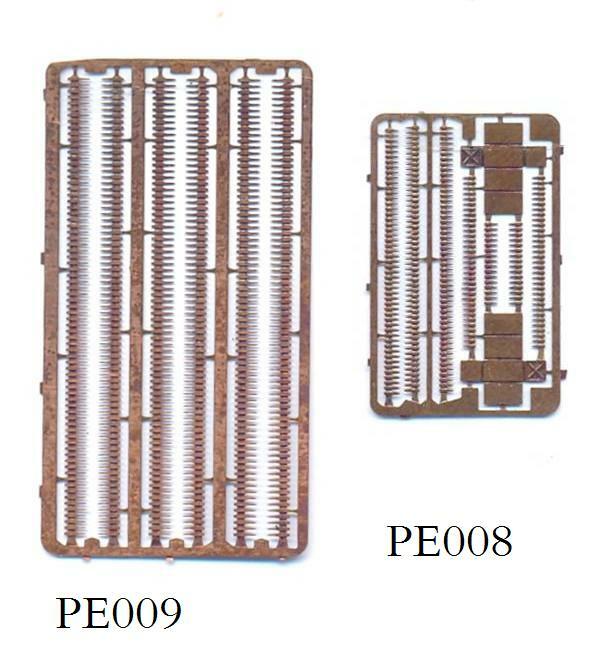 Dutch ISAF Fennek window slat PE. For Revell kit. Sherman M4A2 engine grille PE. For Dragon kit. Sherman M4A2 engine grille PE. As E002 but 3 pieces. Sherman M4A2 engine grille PE. As E002 but 5pieces. Sherman M4A3 engine grille PE. Sherman M4A3 engine grille PE. PE. As E003 but 3 pieces. Sherman M4A3 engine grille PE. PE. As E003 but 5pieces. Horseshoes Commonly seen as good luck charms on vehicles. TTF001 WW2 German Nashorn SPG crew - winter 3 resin figures. TTF002 WW2 German tank mechanics with welding set 2 resin figures and equipment.